The NZ Team – big thanks to all of them. So we had a great start to the season! 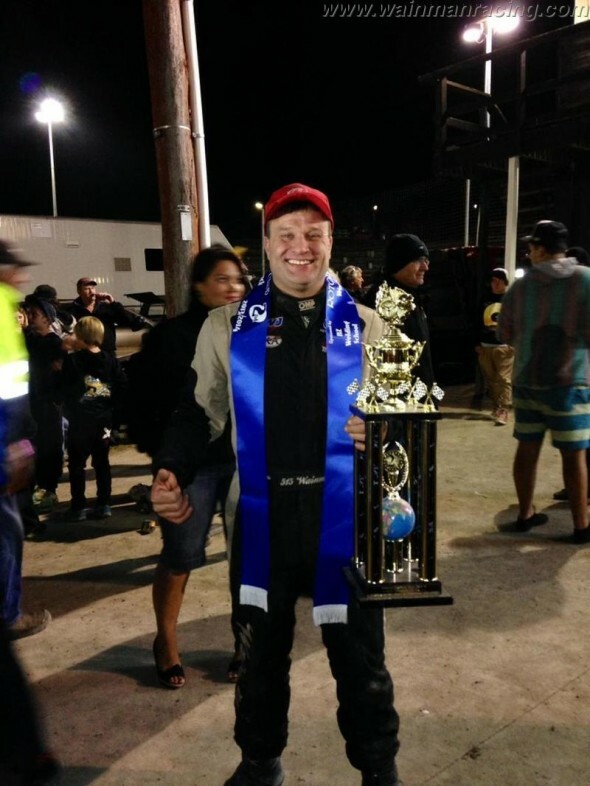 Firstly, finishing second in the World 240s in New Zealand! We were fortunate enough to have a top car and team behind us for this visit. Big thanks to Mark Flowers and his family and team. Young Frankie has had 4 meetings so far. 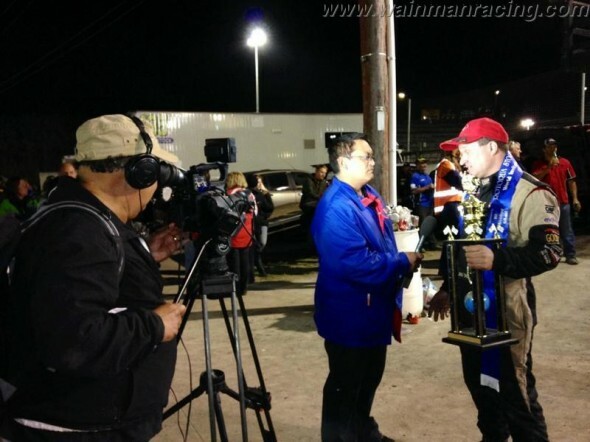 The first being at Buxton where he picked up some decent places and a podium finish. The week later he took his first win of the season at Stoke. His third meeting was at Belle Vue, where once again he got some decent results and was the fastest driver in every race. Belle Vue was mine and Danny’s first meeting, and I debuted my refurbished truck and shale car. It wasn’t the best of meetings for me. I had a bit of trouble with the alternator, which kept messing the electrics up. Danny did better, he picked up some decent places and took his first win of the season with the Grand National. As for Phoebe, she has had a great start! Birmingham was her first meeting and she showed the lads the best way round. Second in her first race followed by a win in heat 2. In the final the car came out of gear and she lost a lot of ground, but once she managed to get it back in she romped back up to a credible 9th place. Grand National was a DNF due to a flat tyre. Her second meeting was at Northampton, and once again she seemed to master the track, looking quick and smooth. In heat 1 she finished in third followed by another third in heat 2. The result she was most happy with was second in the final, with Michael Scriven in first place and Tom Spencer third. 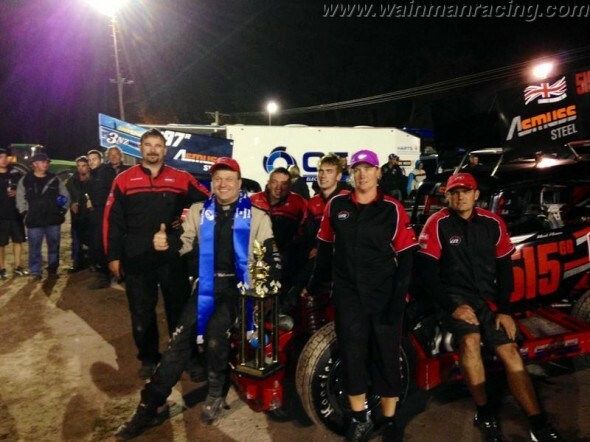 Her first final podium finish in V8s. Her GN race was short lived after running over an aerofoil, but we cannot grumble with three top 3 places. Well done Phoebe. 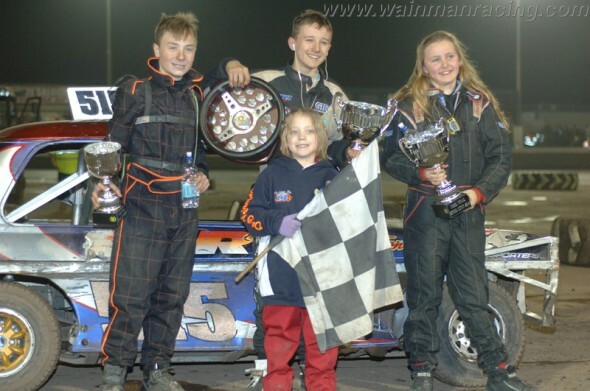 King’s Lynn on 29th March and me, Danny & young Frankie are racing. Young Frankie was out but it was a non starter due to carburettor problems. Me and Dan went out shortly after this, my car didn’t feel that great and I managed a fifth place and Danny got 11th after a slight collision. 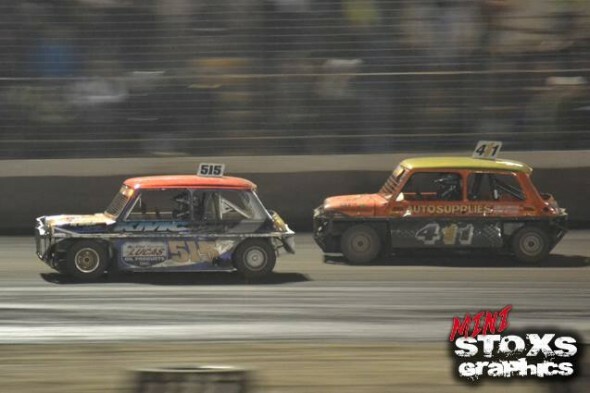 Frankie Jnr Jnr’s second heat, he was going well, managing to avoid a few pile ups and finish 6th. In Heat 2 for me and Danny, I got 4th and Danny 6th. Frankie presented with the Kev Sutton Memorial Final trophy by Mia Reeves – she’s a big fan! 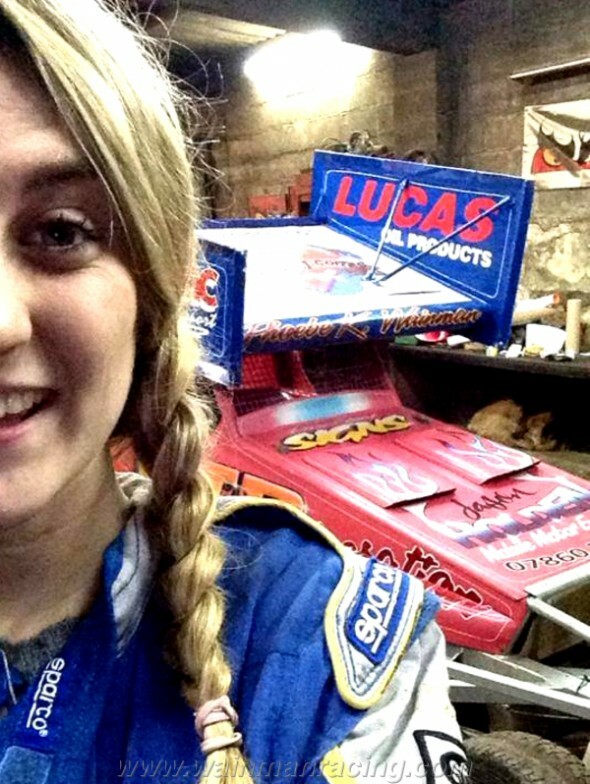 Final time for JJ – the Kev Sutton Memorial Trophy. He gets tangled up and there’s a complete restart. Right at the back of the superstars, he manages to pull the top runners in, winning the final with a perfect last bender on Witts & Smith. F1 final time, and my car was going a lot better after a few alterations, coming through the pack nicely. I avoided a pile up which put me ‘up there’ then the outside half shaft broke ending my race. Danny battled on and came home fourth. A quick repair on half shaft as there was not a spare, we kept our fingers crossed it would last. I was leading with 3 to go when it broke again. Still I managed fifth place and Danny got second. So a reasonable night with JJ’s final win making up for my misfortunes. 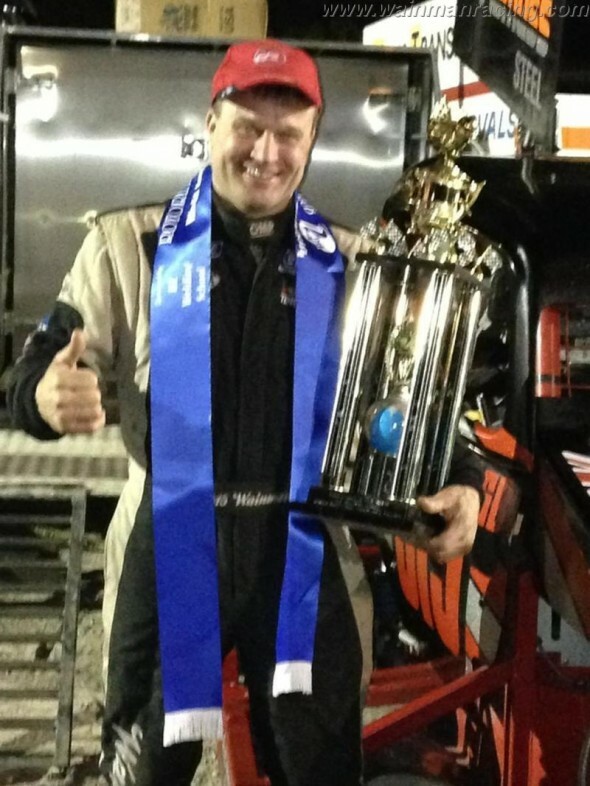 Second in the World 240 Championship in New Zealand.